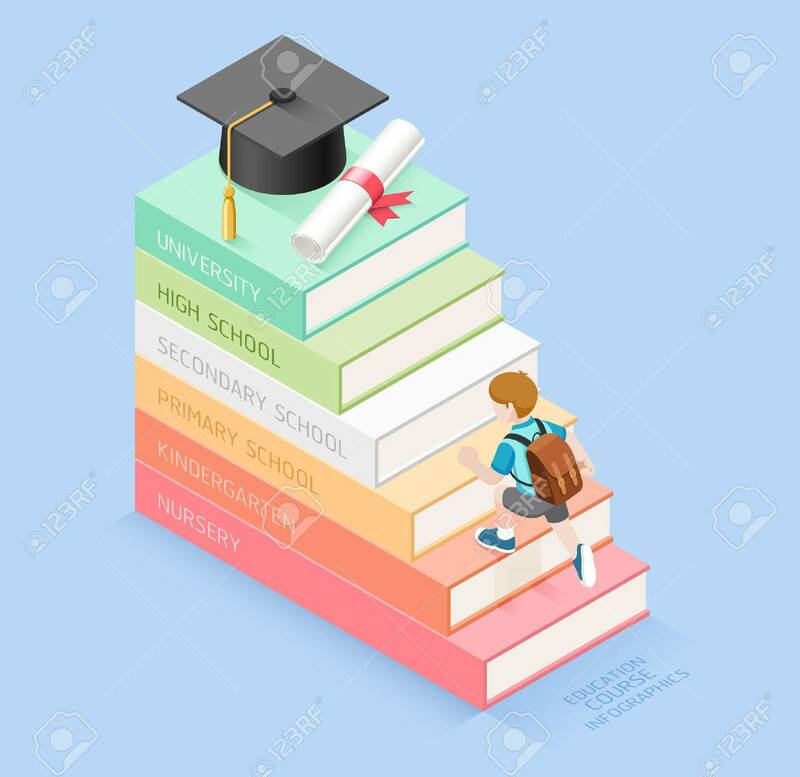 Books Step Education Timeline. Boy Student Walking Up To The.. Royalty Free Cliparts, Vectors, And Stock Illustration. Image 70039333. Vector - Books step education timeline. Boy student walking up to the stairs to graduation hat and diploma roll. Isometric vector illustration. Can be used for workflow layout, banner, diagram, number options, step up options, web design and infographics. Books step education timeline. Boy student walking up to the stairs to graduation hat and diploma roll. Isometric vector illustration. Can be used for workflow layout, banner, diagram, number options, step up options, web design and infographics.